The Parramatta River catchment is one of the most highly urbanised catchments in Australia. Whilst this means that lots of people get to experience and enjoy the river, it also means that there are many different issues that are impacting upon the health of the catchment. There are many different aspects of our day to day lives that have an impact on the catchment. While each of us individually has a small effect on the health of the river, these small impacts combine throughout the whole catchment to significantly effect the health of the river. 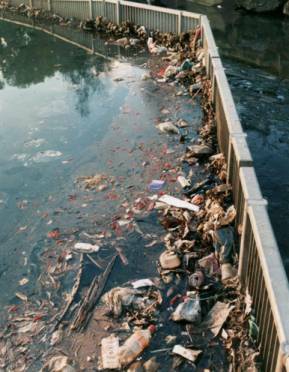 One of the main causes of poor river health is stormwater pollution. Weeds, introduced animals and erosion also significantly contribute to an unhealthy catchment, but we have some tips that will help you make a difference! Because of the impact that stormwater pollution can have on our rivers and beaches, water quality is often significantly worse after rain. 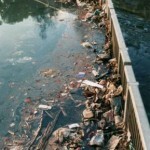 Sometimes you may even be advised not to swim due to the health risk that stormwater pollution poses. Imagine what this is doing to our environment! Most weeds that are in our bushland areas today have escaped from people’s backyards. Their seeds and cuttings are carried by the wind or animals, or even swept away with the stormwater when it rains. Prunings, cuttings and grass clippings are also dumped in the bushland, allowing weeds to quickly invade and spread. Noxious Weeds – These weeds threaten human and animal health, agricultural production, and the environment (including natural resources such as waterways and water supplies). By law, noxious weeds must be controlled. On private land the responsibility lies with the owner and/or occupier of that land. To find out which weeds are listed as Noxious in your Council area visit the NSW Industry & Investment. Environmental Weeds – Environmental weeds invade bushland, thereby reducing its environmental value. They have few predators and usually produce vast quantities of seed, and so out-compete or smother native plants. They are particularly successful in disturbed areas where soil nutrient levels are high, such as areas affected by stormwater pollution or the fringes of bushland areas bordering residential properties. The Parramatta River Catchment is unfortunately threatened by many introduced animals. Cats and foxes are a big threat to native animals, preying on birds, small mammals and reptiles. Rabbits and some birds also impact on our catchment to varying degrees including damaging vegetation, causing erosion. You may have noticed that many of our waterways are becoming shallower and muddier – something which may be very noticeable after rain. When the ground is left bare by human activities including clearing, building (and related activities) and vehicle use such as 4WD’s and trail bikes the soil is easily washed away when it rains. This erosion removes the fertile topsoil and the soil that is washed into waterways can contain plant nutrients, minerals, organic matter and seeds. It can also contain pesticides and toxic heavy metals. smother and suffocate water plants and animals and impact on their ability to reproduce. A single residential building block can lose four truckloads of soil in one storm!